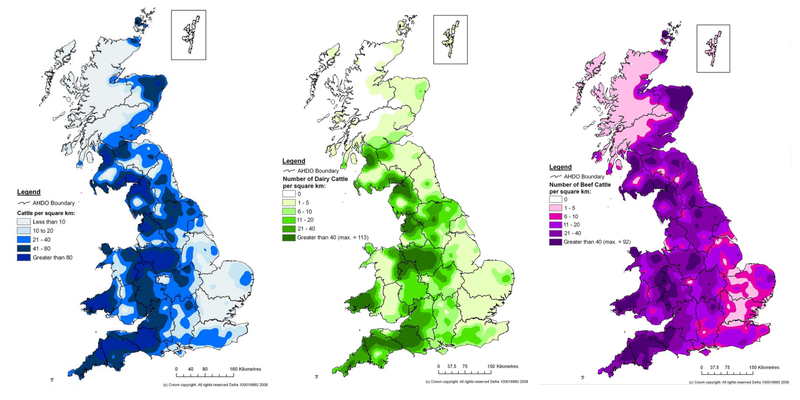 The following links show data downloaded from the DEFRA web site. Animals slaughtered, herds restricted & herd incidence for each of the following key areas. Some large differences exist between SAM and VETNET data. Reference 1 gives explanations for some of these differences.